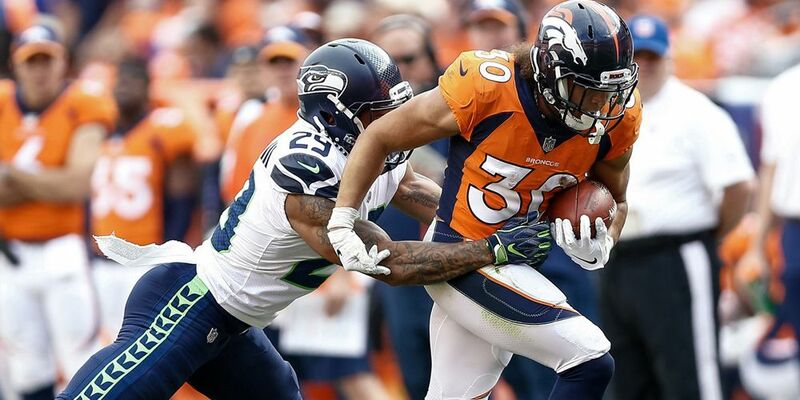 The 2018 running back draft class had a combination of expected success from highly-touted draft picks like Saquon Barkley and surprising production from undrafted talents like Phillip Lindsay. Let’s take a look at this season’s draft class and how they fared and what to expect from them going forward. *Note: Player ranks, points, and average points per game (PPG) were based off FantasyPros “Fantasy Leaders” report and used half PPR scoring format. For more detail on how Barkley fared against some of the all-time greats in history, Dan Schneier of 24/7 Sports covered that more thoroughly. Barkley offered an amazing combination of both volume and efficiency in his first year. He led all running backs with 2,028 total yards from scrimmage. What’s more impressive is that Barkley also ranked first amongst all running backs with 114 evaded tackles according to PlayerProfiler. Barkley gave us a phenomenal season both in real life and in fantasy football as he battled Todd Gurley and Ezekiel Elliott as the top player at the position. 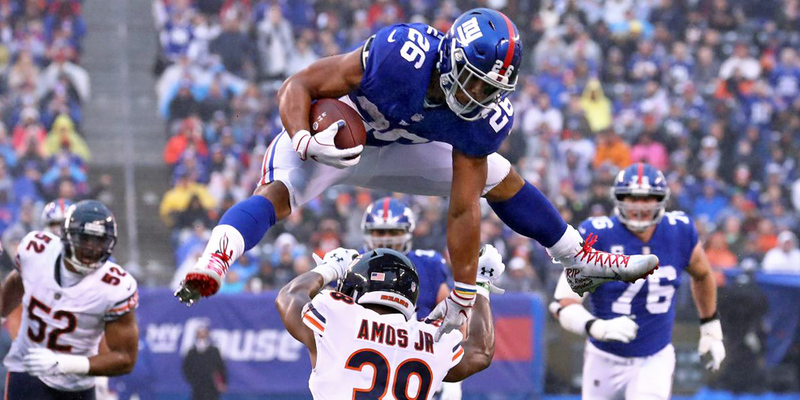 Heading into the 2019 season at only 22 years old (in February), Barkley should obviously remain an elite option for years to come. Before the season had started, there were plenty of expectations of seeing a Broncos running back potentially ranking in the top-12. That man was expected to be Royce Freeman, but, un-drafted rookie, Phillip Lindsay, had something to say about that. Lindsay started the season hot with back-to-back games over 100 total yards and didn’t slow down often after that. He went on to log 6 games over 100 total yards on the season while notching 10 total TDs. Lindsay also ran for 1,037 yards and was second amongst running backs with 5.4 YPA behind only Aaron Jones. Lindsay was awarded a Pro-Bowl selection, though he won’t be able to play as he’s nursing a wrist injury. While draft capital is a decent indicator of potential success in the league, it isn’t always everything. Just ask former fantasy stud, Arian Foster. Lindsay is a tough one to peg when looking forward. Standing at only 5′ 8″ and 190 pounds, it’s pretty impressive he handled 227 touches so well this season. He isn’t built to be an every down back and I would have a hard time seeing him continue this volume going forward with a new coaching staff. I would expect to see a little bit more of a balanced workload next season with Freeman mixing in on the ground more often. Lindsay does offer loads of big-play ability, however, as he broke off a play of 20 yards or more in eight games in 2018. All in all, I would be a little hesitant to lock Lindsay back into a top-12 rank next season, but he should still be inside the top-25. Chubb is another player whose end of year numbers are a little skewed due to the fact that he didn’t take over as the starter until halfway through the season. That honestly makes an RB16 overall finish that much more impressive. If you look at Chubb’s numbers from Weeks 7-17, he ranked as the RB8 during that span scoring an average of 15.5 PPG. If you use that 15.5 PPG average over 16 games, Chubb would have also finished the season as the RB8. Let us not forget, Chubb also did randomly break out for 105 yards and 2 TDs on only 3 carries in Week 4. Chubb was a tough man to tackle in his first season as he ranked ninth amongst all running backs with 64 evaded tackles and 388 yards created according to PlayerProfiler. We didn’t see heavy usage in the passing game from Chubb, but the ability is there. The Browns offense is trending up in a big way with Baker Mayfield coming off a solid first year. Chubb is a player I could see myself having a lot of shares of next season, especially if he falls to the second round of fantasy drafts. Whether you decide to go RB/RB or WR/RB in the first two rounds next season, Chubb becomes a steal as your RB2 or at worst a solid, back end RB1. Sony Michel didn’t exactly have the smoothest transition into the NFL. After being selected towards the end of the first round, Michel missed crucial preseason reps and battled nagging injuries all year. Michel went on to total 931 rushing yards anyways with 6 TDs over 13 games. When Michel was healthy, he was one of the most active backs in the league despite the Patriots heavy usage of a committee approach. Michel ranked top-10 in the league with an average of 16.1 rushing attempts per game and 71.6 rush yards per game according to Pro-Football-Reference. Despite getting goal-line carries occasionally vultured by the likes of James Develin, Michel still ranked eighth amongst all running backs with 43 red zone touches this season. Michel is an interesting player to project for next season. 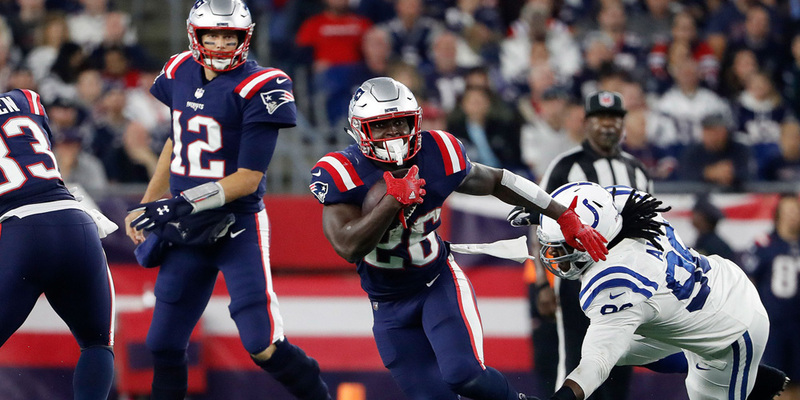 He offers little-to-no value in the passing game and likely will not have room to grow there with James White still under team control for another two seasons. Michel should have an easy time taking a step forward in his second season as long as he can stay healthy through the process. Michel should offer volume-driven RB2 value somewhere in the early-to-mid rounds of redraft leagues and could even be considered a buy-low candidate in dynasty considering his potential for over 1,000 yards and near double-digit touchdown production. Hines was touted as a sleeper candidate worthy of drafting in the late rounds of drafts in 2018 and while he didn’t exactly explode onto the scene in his first season, he also didn’t completely disappoint. Steady usage in the receiving game helped lift Hines to an RB32 finish overall in half PPR leagues. Hines didn’t offer the Colts any value really as a runner, averaging only 3.7 YPA. The low YPA total is even more disappointing considering Hines saw six or fewer defenders in the box on 57.6% of his carries which was third most amongst RBs according to PlayerProfiler. Luckily for Hines, he has Andrew Luck as his QB and the Colts offense should remain one of the highest scoring in the league for as long as Luck can stay healthy. Hines will likely carve out a Theo Riddick-esque role on this Colts offense for years to come, making him a flex-worthy starter in PPR formats for redraft and dynasty leagues. Kerryon Johnson barely missed out on top-five honors in 2018 as he finished as the RB33, directly under Nyheim Hines. Johnson actually averaged 12.3 PPG in 2018 but lingering injuries held him to only 10 games. If you figure Johnson’s 12.3 PPG average over a 16 game span he would have finished the season as the overall RB14, right behind Tarik Cohen. Johnson’s totals are all the more impressive considering the sad state of the Lions offense and how often they were playing from behind. Johnson offers an every down skill set and could wind up being a steal in redraft leagues next season. He’s a solid buy-low candidate in dynasty leagues capable of borderline top-10 production, especially with Darrell Bevell taking over as offensive coordinator. Bevell was the offensive coordinator for the Vikings and Seahawks during both Adrian Peterson and Marshawn Lynch’s respective dominant years. Rushing offenses under Bevell have ranked top-10 in the league in seven of his 12 seasons as OC according to Pro-Football-Reference. Royce Freeman busted from a fantasy perspective this season as Phillip Lindsay took over the Broncos running game. Freeman finished right below Frank Gore as the RB45 in fantasy, averaging only 6.7 PPG. Freeman saw 144 touches this season compared to Lindsay’s 227, but Lindsay was just far more productive averaging 5.6 yards per touch compared to Freeman’s 4.1 YPT. As mentioned above, I don’t really see Lindsay keeping this heavy of a workload going forward based on his smaller frame. While Lindsay will still be the preferred option in fantasy, I could see Freeman take a step forward in his second year under new coaching and push closer to a top-25 finish which would be flex-worthy starter value. Gus Edwards came on strong towards the end of the fantasy season. Between Weeks 11-17, Edwards averaged 17.4 carries per game and totaled over 100 yards in four of those seven games. Edwards was the overall RB14 over the last seven games of the season, averaging 11.6 PPG. The Ravens backfield will be a situation to monitor over the offseason and through camp as Kenneth Dixon also mixed in frequently towards the end of the season and the team ran the ball at an unprecedented rate with Lamar Jackson under center. If Edwards indeed wins the starting job for next season he would be a volume-dependent RB2 who offers nothing in the passing game. I would be tempted to shop Edwards in dynasty leagues through the offseason. Ito Smith carved out a decent role on the Falcons offense in 2018 behind Tevin Coleman with Devonta Freeman out most of the season. Smith assumed somewhat of Coleman’s old role, averaging eight touches per game. Smith didn’t do much with his touches on the ground, averaging only 3.5 YPA with 4 TDs. Smith’s value could rise, however, if Tevin Coleman decides to leave the team via free agency. We need to see how the depth chart and coaching moves play out in Atlanta before we can really get a good idea of Smith’s value going forward. If Smith retains that change-of-pace role with 10-12 touches per game, he could carve out some matchup-based flex value next season. Smith is a cheap, low-risk buy in dynasty. Josh Adams led the Eagles in 2018 with 120 carries, 511 rushing yards (4.3 YPA), and 3 rushing TDs. The Eagles utilized their usual RBBC, making this one of the most difficult backfields to predict on a week-to-week basis. Jay Ajayi is set to be an unrestricted free agent during the offseason according to Spotrac which will eliminate one roadblock in the way of Adams’ future value. Adams feels more like just another guy but could be worthy of a late-round flier in redraft leagues next season if he carves out a solid role in camp. I would shop Adams aggressively during the offseason in dynasty leagues. Jaylen Samuels is an interesting prospect moving forward. Samuels fared well in his limited opportunity as the starter when James Conner was out with an injury. Between Weeks 14-16 Samuels averaged 109 total yards per game and wreaked havoc for some with his dual eligibility as a RB/TE. With Le’Veon Bell out of the picture in Pittsburgh, it will be down to either James Conner or Jaylen Samuels to carry the load next season. While Conner is obviously the heavy favorite, the Steelers RB handcuff has been one of the most valuable in fantasy football in recent years. Rashaad Penny was one of the most polarizing rookie RBs in fantasy heading into the season. While the Seahawks ran the ball more than anyone this season, Penny didn’t mix in nearly as much as people had hoped considering his first round draft pick pedigree. Penny ran behind both Chris Carson and Mike Davis in 2018 but was actually the most efficient of the bunch with 4.9 YPA. Penny is a very intriguing prospect moving forward whose best comparable back is Melvin Gordon according to PlayerProfiler’s metrics tool. I would buy Penny in dynasty through the offseason and his role will be worth watching in camp next season. Kalen Ballage only totaled 13 touches all season before Week 15. With Frank Gore and Kenyan Drake getting all of the run on one of the slowest offenses in the league, Ballage never stood a chance. Ballage showed some big-play ability totaling 123 rushing yards on only 12 touches in Week 15. NextGenStats clocked Ballage running at 21.87 mph on his 75-yard TD run in Week 15, ranking him one of the top-eight fastest ball carriers in the league this season. With new coaches coming into Miami, Ballage could make for an interesting prospect if he gets some run. Standing at 6’2″ and 228 pounds with a 4.46 second 40-yard dash time, Ballage has the athleticism and build to succeed as an every-down back, he just needs the opportunity. Ronald Jones never really had an opportunity to showcase his talents this season as the second round draft pick only handled the ball 23 times for 44 rushing yards (1.9 YPA) and 1 TD. It was all Peyton Barber in the backfield this season but the Bucs continued their ways of having one of the worst running games in the league. A complete coaching overhaul with Bruce Arians taking over could be Jones’ saving grace. The Bucs starting running back position should be wide open heading into camp next season, making Jones a player to watch closely. Jones should be a cheap dynasty buy who could offer big returns if he wins the starting gig next year.